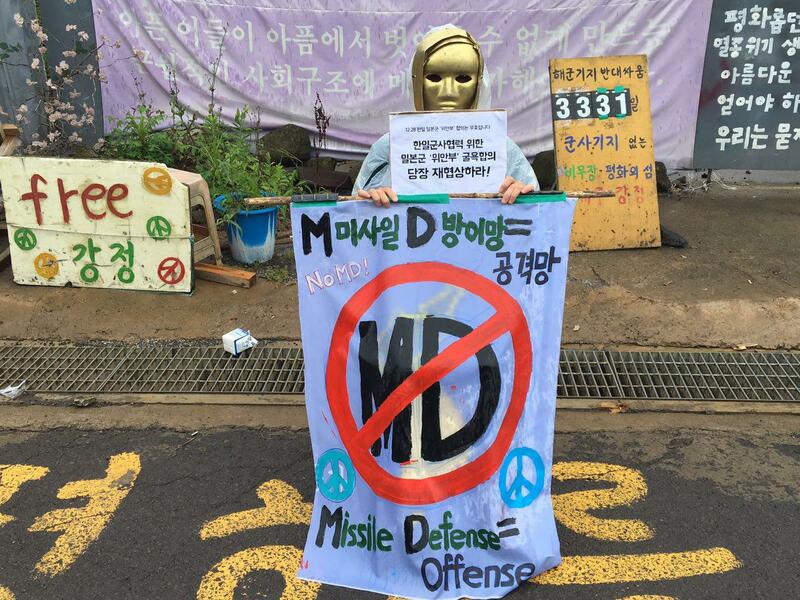 Stop ROK-US-Japan missile defense drill! 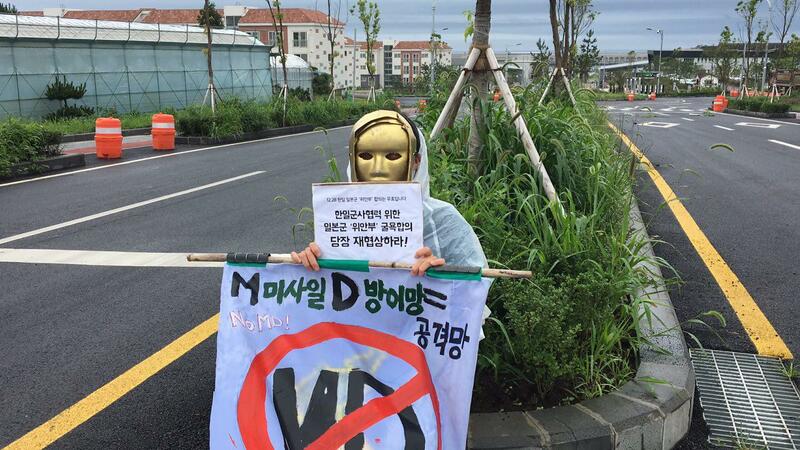 Since ROK-Japan collusion on comfort women issue on Dec. 28, last year, Gangjeong has carried out a girl statue performance every Wednesday, in remembrance of comfort women under the Japanese imperialism, as well as for the justice of women and lives victimized by militarism and war crimes. June 28th hit sixth months from Dec. 28 last year. Is it coincident that a ROK-US-Japan missile defense drill in the name of missile warning drill was carried out in Hawaii on the same day (Hawaiian time) as a part of RIM of Pacific exercises, the recorded war drill in, around Hawaii and south of California from June 30 to Aug. 4? 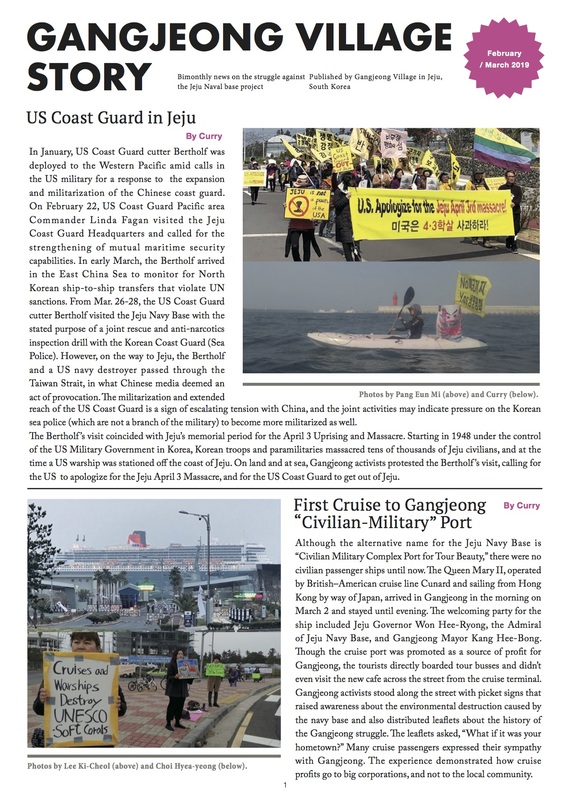 We remind that the missile defense system needs ROK-US-Japan war alliance and comfort women issue is a kind of obstacle to realize such a war alliance.